IPL 2019: Will KL Rahul's great escape be the game-changing moment for Punjab? 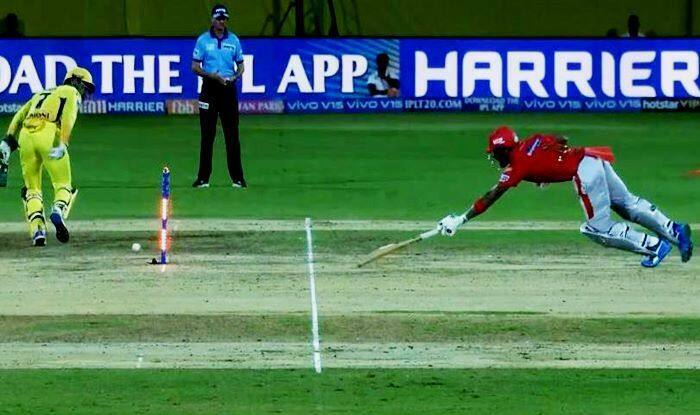 IPL 2019: It happened in the 13th over of the Punjab innings when KL Rahul dropped the ball with soft hands towards the leg side and took off for a run. ‘Alert’ MS Dhoni was quick to the ball, and without looking at anything he back flicks it to the stumps. KL Rahul is short, luckily for him, the ball hits the stumps but the bails are not dislodged. The replays showed that the light lit up as the bails went in the air but again came back to its position. Dhoni realised it straightaway and indicated it to the umpire. He was right again, KL Rahul was extremely lucky to have survived it. Even the broadcasters could not believe what they had just witnessed. It was a great escape for KL Rahul as he holds the key for Punjab in the 161-chase at Chepauk. Harbhajan Singh picked up a couple of wickets in his first over of Chris Gayle and Mayank Agarwal to peg the visitors back right away. It was Sarfaraz Khan who stitched a sound partnership with Rahul to get the chase on track. Sarfaraz brought up his maiden fifty in IPL, Rahul in the meanwhile scored 55 off 47 balls. Earlier, it looked good for Chennai Super Kings (CSK) with the score of 98/1 in the 13th over. But Punjab skipper Ravichandran Ashwin rose to the occasion as he picked up two wickets in the 14th over to put the brakes on CSK during their Indian Premier League match at the M.A. Chidambaram Stadium here on Sunday. In the end, Mahendra Singh Dhoni (37* off 23 balls) and Ambati Rayudu (21* off 15 balls) finished with a flourish as CSK made 160/3 in 20 overs. At the time of filing the copy, Punjab was 130/3 in 18 overs. Young Sarfaraz was on 62 as Punjab needed 31 off 12 balls.